I may be a grown adult, but my love for peanut butter and jelly sandwiches knows no bounds. 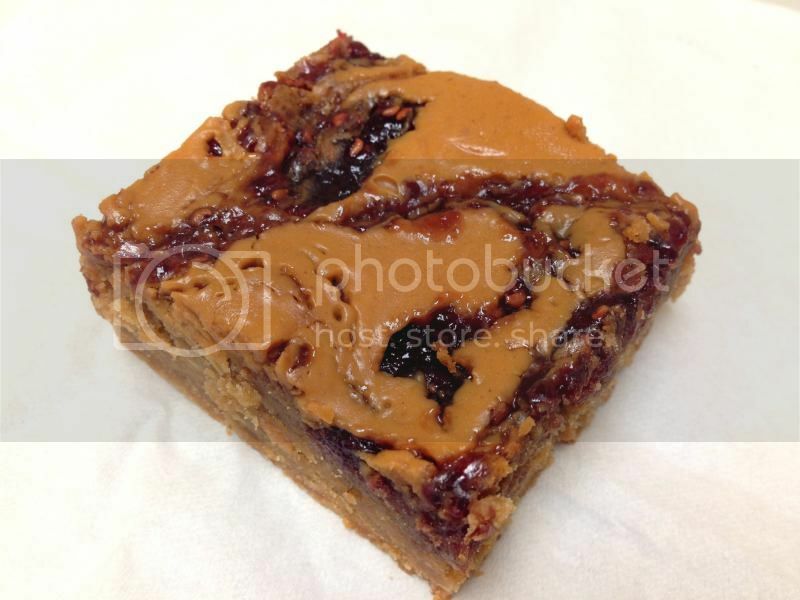 While tinkering in my kitchen the other day, I decided to make a peanut butter and jelly blondie. The result was a childhood treat revisited and modified. 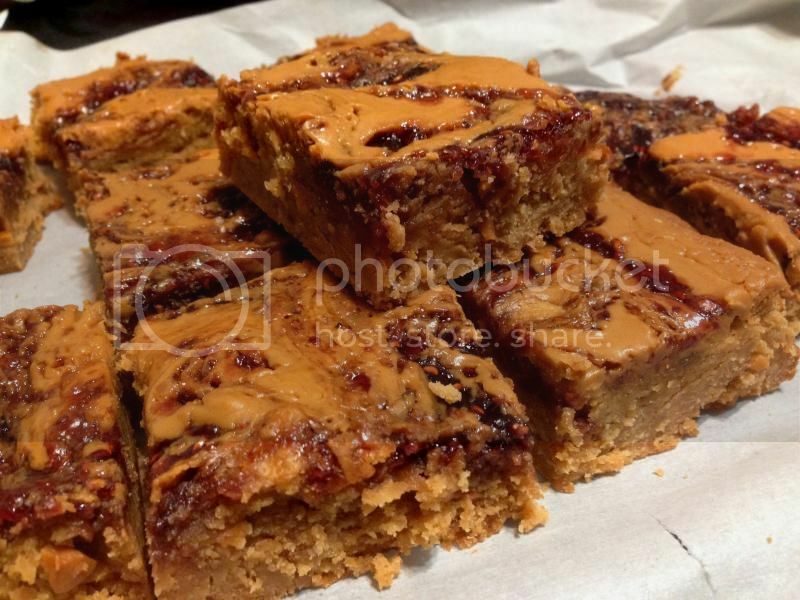 I played with the recipe a couple of times until I found a consistency I was happy with, this meant ingesting about a couple dozen blondies. Real sacrifices going on over here for this recipe, let me tell ya. 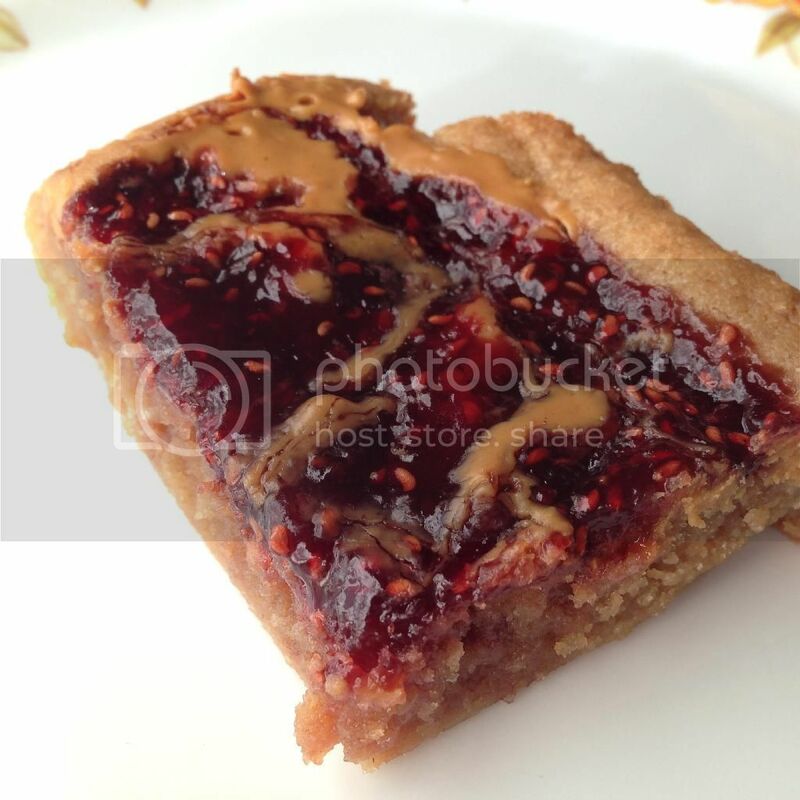 So I've decided to share the recipe with my fellow pb&j fans. Preheat oven to 350F. Line an 8 by 8 pan with parchment paper and set aside. In a large bowl combine the melted butter and crunchy peanut butter, stir until mixture is smooth and well combined. Add the brown sugar and mix until combined. Mix in the eggs, vanilla and honey. Once incorporated, add the flour, salt and baking powder. Stir until combined; at this point, the batter will be firm and very pliable. Pour the batter into your prepared pan, you may need to use a spatula to spread out the mixture evenly. 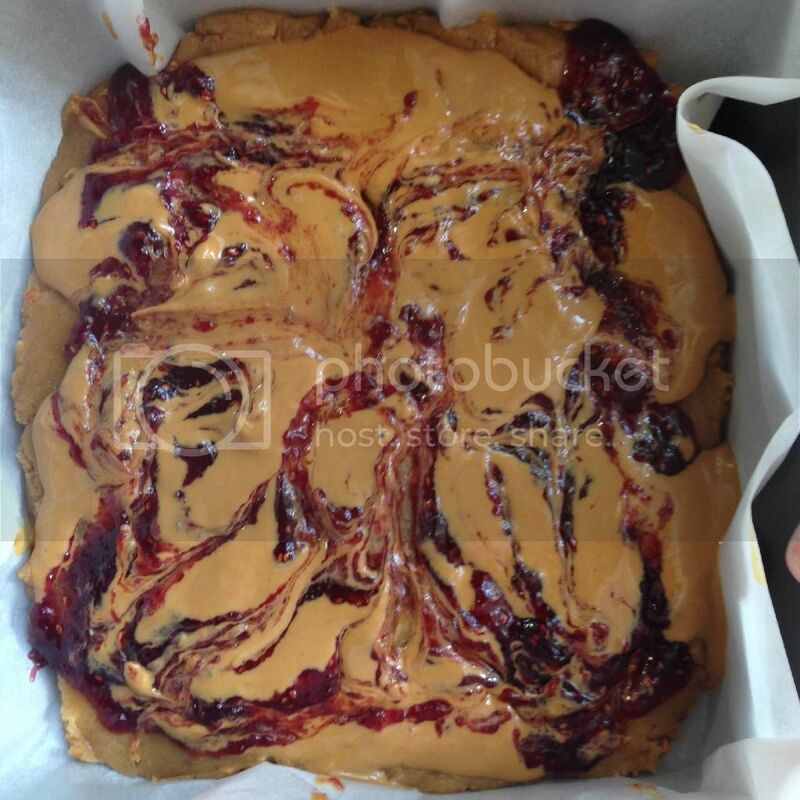 Place the jelly/jam of your choice in the microwave and melt it for 30 seconds on high heat, so you can better swirl it over the top of the blondies. 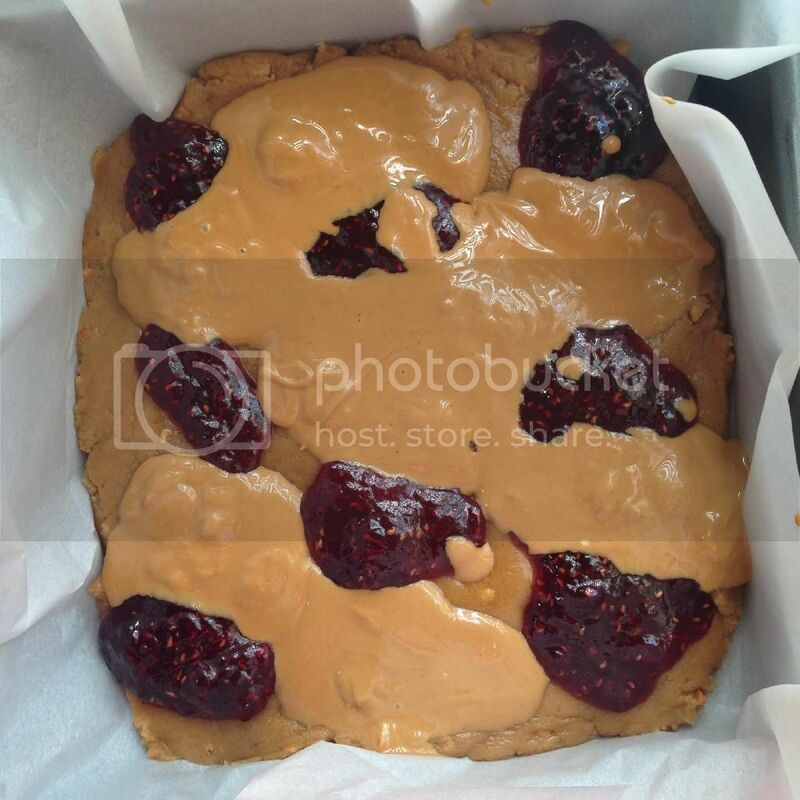 Dollop the peanut butter and jelly over the top of the blondies in an alternating fashion. 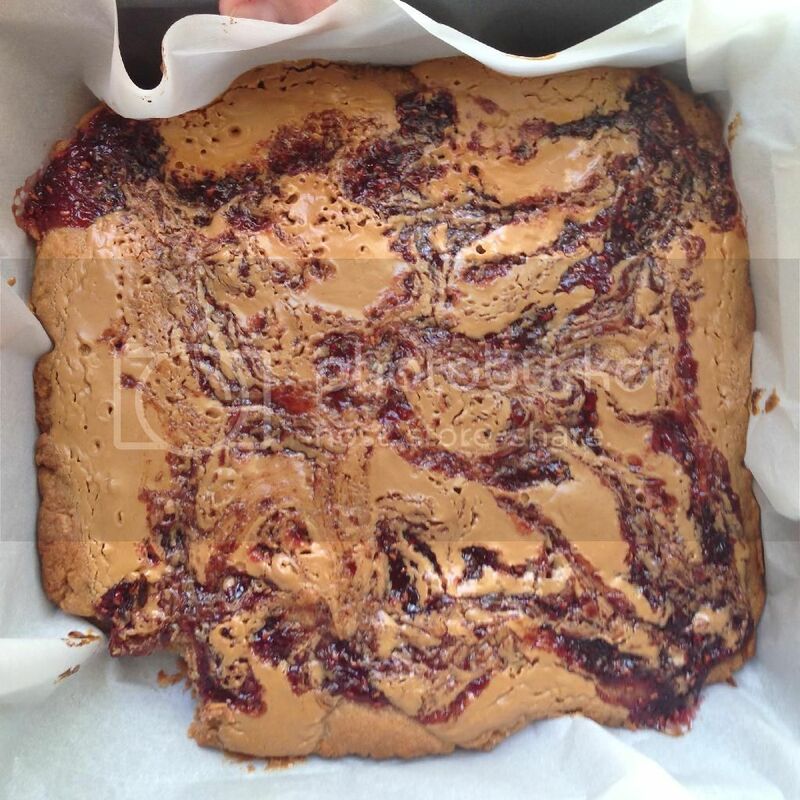 Using a knife marble the peanut butter and jelly in a zig zag pattern until it is all well dispersed and marbled. Bake for 25 minutes in the center rack until center is set and toothpick comes out clean. Remove from the oven and let these bad boys cool completely! Cutting into them while they are still hot will leave you with a hot mess. Let them cool for about an hour! Store them in an air tight container and they'll keep for 3-4 days. This recipe is perfect to play with, you can substitute the jam and stir in a 1/2 cup of chocolate chips for some peanut butter and chocolate blondies. ENJOY! I am obsessed with pb.